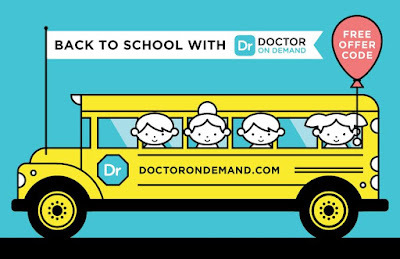 Doctor On Demand is a very cool app that allows you to speak with US licensed and board certified doctors via your smartphone. No need to make an appointment, no need to drive anywhere. Just pick up your phone, speak to a doctor and get your medical need/s taken care of. They can even write prescriptions for the issue you're having. It's a real ideal app to have and is so nice and convenient. 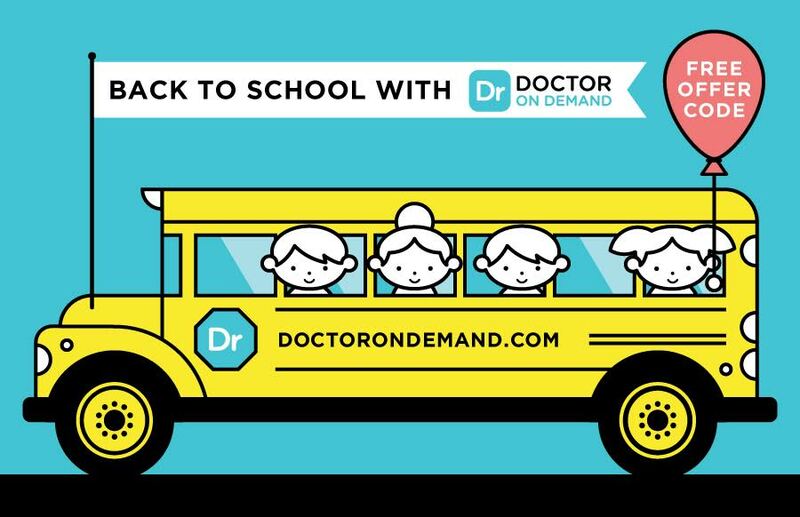 We've actually used Doctor on Demand in the past for a rash my son had. They diagnosed him, sent a prescription in and I picked it up later that day. This is real ideal when you're sick. With school now back in session, this is again, perfect. No need to take your sick child anywhere. If you have other children, no need to expose them to other sickies at the doctor's office. Just do it from the comfort of your own home. and then you have 15 minutes to speak with a doctor. They can then send prescriptions right to your pharmacy! The app is $40 per video visit. This is about the same price as most co-pays. I'm fortunate in that my co-pays are $20 at the doctor or $25 at Urgent Care, but to be in your own home and not have to go anywhere, makes it worth that bit of extra. Do not use it for any condition that is life threatening! All doctors are background checked before joining Doctor On Demand. So know that you are in good hands! Doctor Phil McGraw is an adviser of the app and his son Jay is a co-founder. Jay McGraw is Emmy award-winning creator and executive producer of the t.v. show The Doctors. Here's an overview on how to use the app. This might come in handy for my grandsons. They always get sick when they go back to school! This is absolutely great for those non emergency, emergencies that make you go hmmmm! Love this! What a great app! I could really use this. I remember seeing it mentioned on Dr Phil, but they didn't really go into the details. That's pretty cool! Toting my one year old to the doctor is rough - especially when they already feel bad - this is a great way to keep them safe and warm at home and still get the care they need! Definitely worth checking out.